My son made a request for socks around Christmastime, so once I finished the other commitments it was his turn. He selected this colorway (Shoreline Twist from Knit Picks) and the pattern is Earl Grey by the Yarn Harlot (Stephanie Pearl-McPhee). 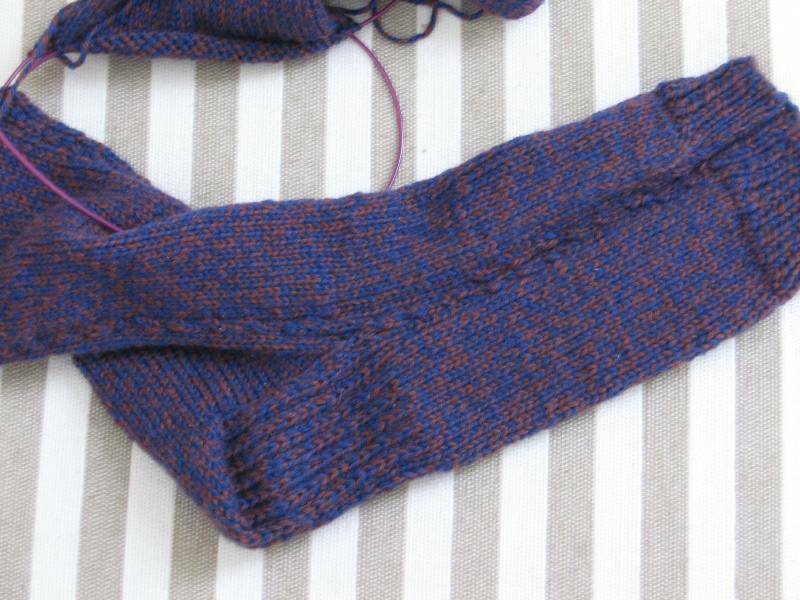 This is one of the February patterns selected for the Thrifty Knitters Sock a Month group on Ravelry. 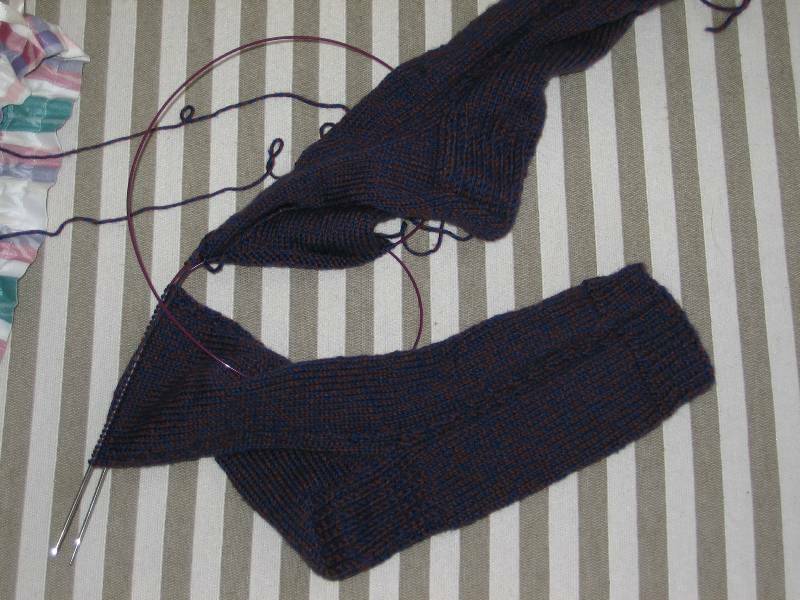 I have just started decreasing for the toe, so I’ll finish them tonight while watching the Academy Awards. He is already making plans to wear them tomorrow. We have a short car trip tomorrow evening; if I finish these socks, what will I knit in the car? I might have to start another Mason Dixon warshcloth.